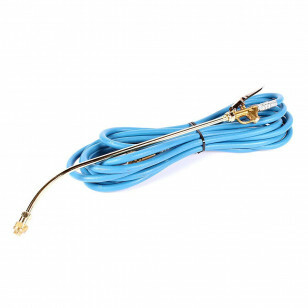 This is a very versatile tool that can be used with either our non-heated, or heated carpet cleaning extractors. 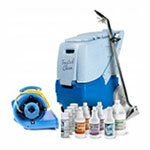 It is great for spraying down the interior upholstery of automobiles that are very heavily soiled. The high heat that this tool can provide with a heated extractor, and the chemicals can break down the toughest stains for removal. First you pre-spray with this great handheld tool, then let dwell for up to 10 minutes, that come back and extract. The perfect cleaning solution for automotive detailing! If you are looking for more auto detailing tools, please take a look at our complete line of handheld upholstery tools.